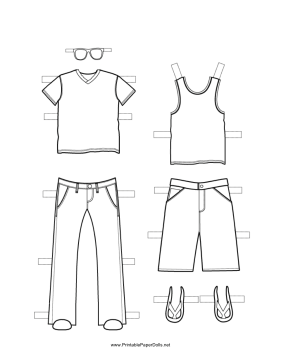 These two free, printable Boy Paper Doll outfits are great for summer, fall or spring wear. One is a t-shirt and sweater vest with jean pants and glasses. The other is a tank top over khaki shorts.